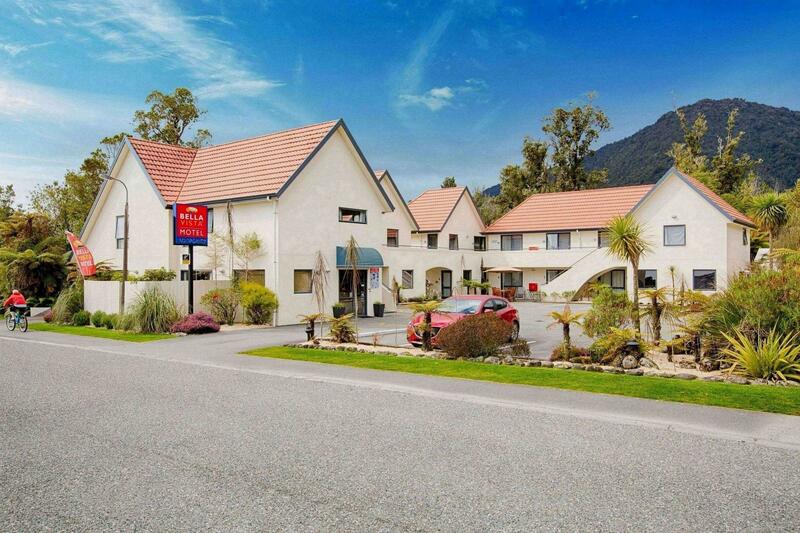 يحظى فندق Bella Vista Motel Franz Josef بمكان متميز في محور فرانس جوزيف جلاسييه رياضات, سياحة, برامج عائلية في منطقة Town Center الفاتنة. يحظى هذا الفندق ذو 4 نجمات بمكان ممتاز يسمح بالوصول إلى المعالم السياحية الأكبر في المدينة، فهو يبعد مسافة 1 km عن صخب المدينة. كما يمكن الوصول بسهولة إلى Westland Tai Poutini National Park. استمتع بالخدمات الراقية والضيافة التي لا مثيل لها بهذا الفندق في فرانس جوزيف جلاسييه. يقدم الفندق واي فاي مجاني في جميع الغرف, خدمة التنظيف يوميًا, مرافق مخصصة لذوي الاحتياجات الخاصة, تخزين الأمتعة, واي فاي في المناطق العامة لضمان الراحة القصوى لضيوفه. ادخل إلى واحدة من الغرف 18 وتخلص من عناء نهار طويل بمساعدة مجموعة كبيرة من الخدمات كمثل تلفزيون بشاشة مسطحة, اتصال لاسلكي بالإنترنت, اتصال لاسلكي بشبكة الإنترنت (مجاني), حوض الاسترخاء, غرف لغير المدخنين الموجودة في بعض الغرف. يقدم الفندق العديد من الفرص للاستجمام كمثل حديقة. يحظى فندق Bella Vista Motel Franz Josef بموقع ممتاز وخدمات يصعب منافستها. Fantastic, would definately stay again. Staff were v welcoming and provided lots of information about the area. Nothing was too much trouble. I would say the best motel in the township in a v convenient location. IT was an overnight stay at Franz Josef Galcier. 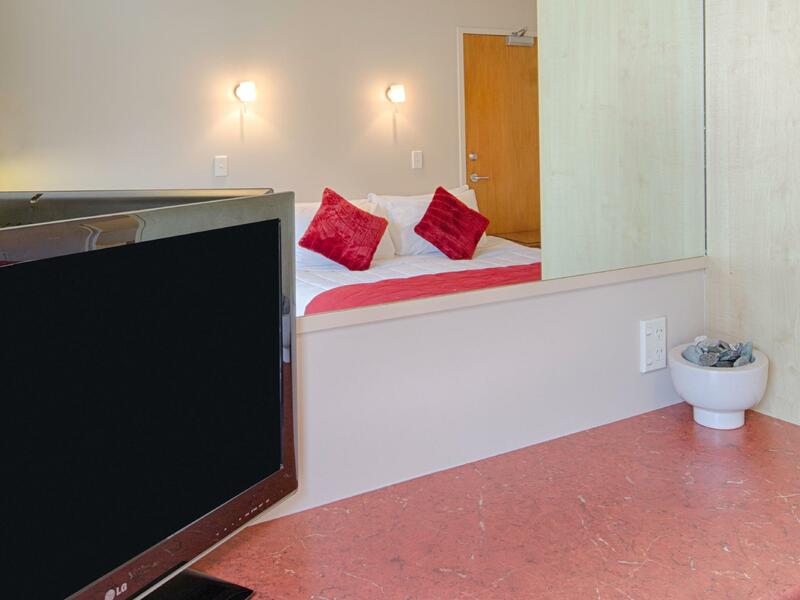 The motel is situated in the city centre and every thing is within walking distance. Fast and unlimited wifi. Friend and accommodating staff. Room as little small but very comfortable. We chose to stay at Franz Josef for glacier activities and Bella Vista is located close to major activities centre, just a short walk away. The room is a bit small but good enough for a short stay. The hotel is clean and look good and the night is quiet and peaceful. Love the place! Will go back to stay there again. The location was good and easy to find just off the main road. The walls were quite thin though and our room on the ground floor was a bit noisy with people talking outside and car doors slamming. One evening we also had a child and mum playing cricket in the car park outside our window! It was clean and the staff helpful so, although I would shop around if we returned ourselves, I wouldn't totally discount booking again. The room was smaller than expected but it was well equipped with the essential equipment necessary to whip up (read: microwave) a simple hot meal and drinks. Everything was clean and orderly. Location was superb - only a few mins walk away from the town centre, the activities booking centres and the supermarket. Really nothing much to complain about, except maybe the hairdryer which needed upgrading to a heavier duty one. And the extremely friendly and helpful lady on the day of our check in made our 1st night all the more special. She even helped us made the booking for the helihike and saved us the hassle! Room is clean with clean and functional utensils, appliances and crockery. My only complain was that the room was really small with little space to open your luggage and put your staffs. Although there was a table top, half of the space was ta ken up by the huge TV. No space for two to sit and eat. We arrived at the hotel mid-afternoon and upon check-in we asked where the Glacier Hot Pools was as we wanted to go to the pools and have a massage after a trek to Franz Josef Glacier. The host was very accommodating and helped us get a late booking. We truly enjoyed our overnight stay here in Franz Josef. The hotel was close to everything with a spacious room, good facilities and fast wifi connection. Highly recommended! The place is just behind the main street of Franz Josef. It is quiet and yet not too far from the main street where all the activities are! Unfortunately, the 3 days I was there, it was rainy throughout so I didn't get to see the glacier until the last day! It was quite near the spa so we walked there for a wonderful soaking in the hot spring pools. Great place. Stayed only one night when visiting the glaciers. Owner kindly left instructions for check in as we arrived after office hours. Room was comfortable and clean. Good value for money. Would highly recommend this motel. The room is compact and well-equipped. There is a microwave, TV,kettle, refrigerator, and heater in toilet. Room is clean and bed is comfortable. Close to the attraction and restaurant. Staff is friendly and helpful. Laundry service available. friendly staff. good place to stay . as the town is so small, there is almost no competition, under that circumstance they have been doing really well and give a good standard if service. The hotel has very good service, there was free dvd rental and guests can come down and top up their milk anytime, they also provided free umbrella rental. We thought the hotel had a kitchennete with a microwave but we realized that in the cabinet they had electriv frying pan and many other kitchen utensils. SO if you are planning to cook on your own, you can do so here. let me start by underlining the very friendly staff. the hotel is a typical bella vista hotel - layout and rooms are nearly everywhere the same in nz so from that side all is good. location of the hotel is good - just off the main road. On arrival the staff were able to discuss with us all the available activities that we could do, and descriptive of the experiences that we would have. The room was a great use of space, and clean, although the blankets probably could have done with some airing, there were some dust mites around, that I'm pretty sensitive to. Within walking distance of town. The location - the view of the mountains is spectacular. We had a wonderful stay at the Bella Vista Motel in Franz Josef. The staff were very friendly and helpful. Their knowledge of the local area and attractions was a tremendous help to us. The unit was extremely clean and very comfortable. located right in the centre of the town center, just a block away from the main street so it's rather nice and quite. parking available for guest and it's just walking distance to all the restaurant and main street. the room is a little small but it's clean and equipped with cooking needs. The proprietor stayed waited for us (we had a long days journey from Te Anau), upgraded us when we got there. The room was very delightful. Cozy, clean, warm. Just a short hop to Franz Josef, and a slightly longer one to Fox. The price was the best part; we paid more for the downgraded room in Graymouth. This was a great deal! The staff is extremely knowledgable and very helpful. The full kitchenette allowed us to save some more $ and make breakfast / dinner. stayed for 2 nights and was very happy with the motel. free parking and rooms are all clean and modern with decent cooking facilties. there is a dvd player in each room and free dvd's at the reception which came in handy as it pretty much rained solidly the entire time we were here. there are laptops for hire for 10 dollars for 24 hours which was good as it meant we could update our travel blog while we were rained in. they give you some free wifi access but it isnt much. to be honest, in this day and age i think all hotels should offer free wifi. we travelled all over se asia and china and are now in south america and pretty much everywhere here gives you free wifi. its just the richer countries like japan, australia, nz, uk that feel the need to rip you off and make you pay for it.